Get to know our players of the year off the court. Why we picked her: She was the best player on the best team in Class 4A. St. Cin and junior Chaise Campbell were a dynamic duo all season, but they saved their best for the region and state tournament. St. Cin played a big role in the 3-1 win over Calvary Christian in the region final. 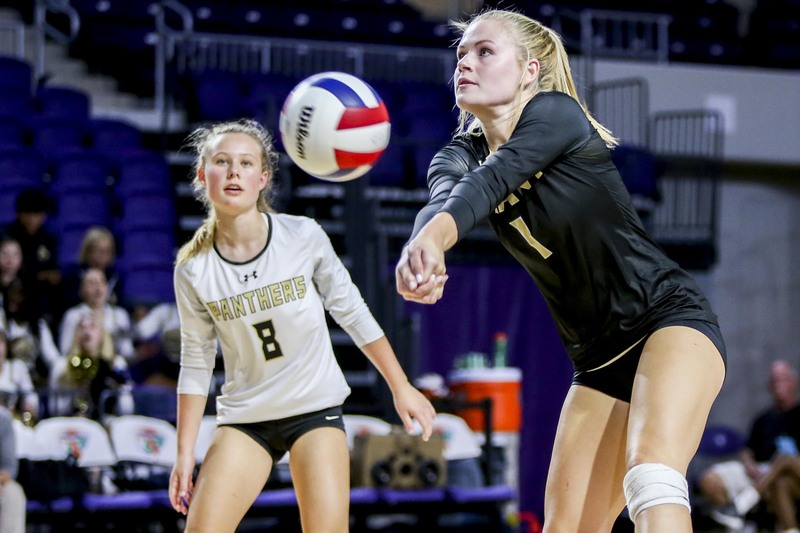 In the Class 4A state final against Palm Beach Gardens Benjamin, St. Cin had a game-high 16 kills, including the match clincher. The Chargers won the school's first volleyball state championship. "We were so hyped up, but then by the time the bus pulled into school we were all crashed," St. Cin said. "We were so tired from the day we just passed out." Shorecrest finished 24-4 under first-year coach Raquel Ferreira. St. Cin said it wasn't easy getting a new coach in her final season, but it turned out just fine. "At first there were some team meetings about what we were doing," she said. "But you could tell she was a good coach and we were getting better and better. By the time we got to regionals we felt we could beat anybody." Did you know? St. Cin has attended Shorecrest since she was 3 years old. She has been a member of the varsity team since she was in eighth grade. St. Cin and fellow senior Taylor Waldmann have been teammates for five years. "I get a special medallion when I graduate for being at the school since preschool," St. Cin said. "It's gone by so fast. I can't believe I've played my last game here." What's next: St. Cin is committed to USF. She was originally committed to Clemson, but when the Tigers lost interest she decided to stay local. "The first time around, I wasn't really comfortable at USF and I really wanted to go to Clemson," St. Cin said. "But when that fell through then I went back to USF and decided to try it again. I went on an official visit and went through all the facilities. We were going through the fitness center and I just went outside with my parents and looked at the campus. I got teary-eyed. This was it. This was where I wanted to be. It was a long journey." She will enroll at USF in June and plans to study mass communications. Why we picked her: Vogler has been a dominant outside hitter for the Panthers since her freshman year. When Plant really needed a point, Vogler usually delivered. She ended her final season with 278 kills and helped lead the Panthers to the Class 8A state final. She was all over the court in the state semifinal against Tallahassee Leon, which Plant won 16-14 in the fifth set. In a 27-2 season full of highlights, Vogler said her best memory was the region final. "The highlight this season had to be beating (Oviedo) Hagerty in three, especially after losing to them in three last season," Vogler said. "We came into that game with so much energy." While Plant fell short of its goal to win a state championship, Vogler said it was still a special season. "From the first practice our main goal was taking it a step at a time," she said. "I think we did that and that is what carried us into the state finals." Did you know? Vogler isn't all about volleyball. Like most teens, she loves to hang out with her friends. But she also likes going fishing with her father, Matt. And not just inshore fishing. They head to the deep waters looking for grouper and tuna. The biggest fish she ever caught was a tarpon in the Boca Grande pass. "Love it," she said. "We usually head about 30 miles offshore of Anna Maria. Whenever I don't have a tournament we're usually fishing if we can." What's next: Vogler earned a scholarship to play volleyball at Florida Atlantic. She will graduate from Plant in May and head to FAU a few weeks later. She plans to major in business management or engineering. She said she knew FAU was the school once she visited. "They were the most family-oriented program that I'd been to," she said. And she knows exactly where the campus is located in Boca Raton. "One point eight miles from the beach, can't beat it," she said. Why we picked her: Koenig was good as a freshman last season. She was really good this season. She had 323 kills and added 158 digs to help lead the Hurricanes to a 30-1 record. It was the first time in school history they won a district championship, let alone 30 games and made a Class 3A state final appearance. The only loss came in the state final against Doral Divine Savior Academy. Take away the three sets lost in that match, and the Hurricanes only lost five other sets during the season. The state final was not a highlight, but the match before it was. "It had to be the state semifinal against (Jacksonville) Christ's Church Academy," Koenig said. "We thought we won but then they overruled the point and said we touched it. So it was like we had to win again. We were down 24-21 and came all the way back (in the fourth set to win 28-26). It was a high point for our team." Did you know? Koenig is listed at 6-foot-2, which is part of the reason she is such a good outside hitter. And it's almost as if she was born to play volleyball. Not only did her parents play, but a middle-school growth spurt also helped in her decision. "Between seventh and eighth grade I grew 8 inches," she said. "I used to never be super tall. But then that happened. I grew so much that I had to change my game. I had to get used to my body and change my technique. It was my awkward stage. It was hard." Koenig has a younger brother, Jacob, who is 12. He is already 6-foot-3 and plays basketball. "We still pick on him though,"' Koenig said. What's next: Koenig has a full slate of tournaments through the spring and summer. For the first time this year she will play on the same club team as her sister, Gabriella. Gabriella was a junior outside hitter at Bishop McLaughlin this year. S Molly Fleming, Sr., Plant: Helps to be surrounded by talented hitters, but Fleming set them up perfectly, tallying 736 assists. OH Mila Yarich, So., Robinson: Emerged as top offensive threat for the 25-7 Knights; 272 kills to lead the team. OH Jessica Angelo, Sr., Bishop McLaughlin: PHU transfer fit right in with 248 kills and helped lead Hurricanes to a 30-1 season. MH Chaise Campbell, Jr., Shorecrest: Perfect complement to St. Cin is a 6-foot-3 middle hitter who can block and rack up kills. Lib Jill Kilgroe, Sr., St. Petersburg: Had a knack for keeping balls alive; finished with 651 digs in 29 matches. OH Cathryn Long, Jr. Calvary Christian: Illinois transplant had 368 kills and 203 digs. Ferreira, a former professional beach volleyball player, took over at Shorecrest this season. All she did was mold the team into state champions. 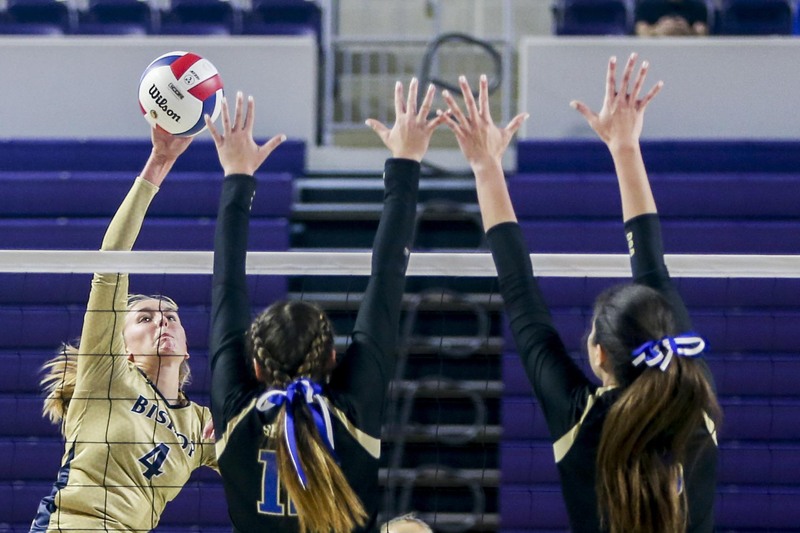 After losing twice to district rival Calvary Christian, the Chargers figured out a way to win the third match in the region semifinals. That paved the way to the state final. 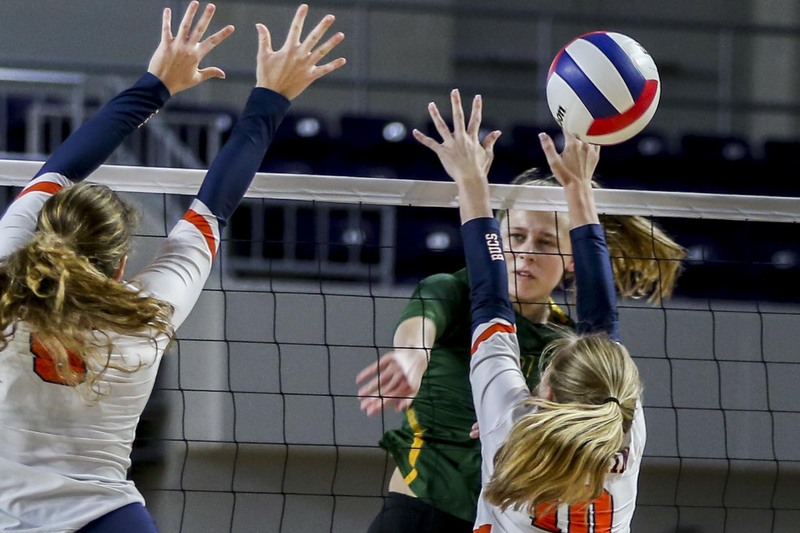 Shorecrest lost only one set in its march to the school's first state title.